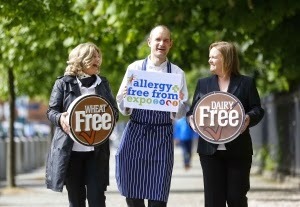 Dublin Gluten Free : Who's going to The Allergy Expo this weekend? Who's going to The Allergy Expo this weekend? 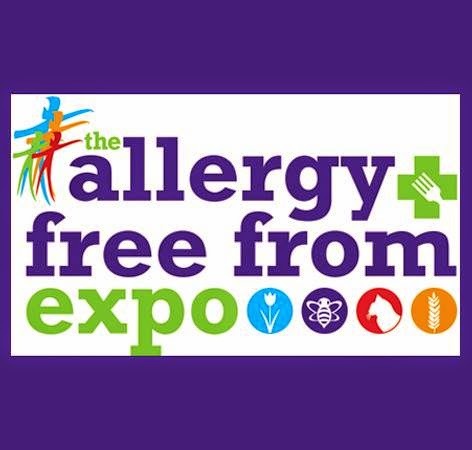 Anyone else looking forward to The Allergy and Free From Expo this weekend? We're heading along to the RDS for The Allergy Expo this weekend and we're super excited about some of the talks on the agenda. There are a lot of allergies in the world. Unfortunately, everyone knows someone with one or more allergies. I am obviously a sufferer when it comes to gluten, but the truth is I suffer from a myriad of complaints that range from quite minor to if you give me that medication you may kill me, or at least put me in hospital. Speaking of which, if anyone knows where to get a decent looking medical alert bracelet be sure to let me know! There are different zones planned for the Expo? Let's start with the zone I'm obviously interested in.. The Kitchen, where there will be free cooking classes and demonstrations. I'm sure plenty of people out there will relish the opportunity to pick the brains of some of the leading chefs. 11am: Eddie Eriksson (Chef with Cornucopia) - A Flexitarian Approach to Family Cooking. I need to know how Cornucopia made a tasty veggie, gluten free sausage. 12.30pm: Paul Kelly (Executive Pastry Chef with The Merrion Hotel) - Demonstration with PureBred Gluten Free Bakery’s newly launched 'Bake at Home' range of mixes. 11am: Erika Doolan (Nutrition practitioner to Rustic Stone & Fade Street Social) - talk and demo on the Benefits of Incorporating Raw Food and Juicing into your Daily Lifestyle. 12pm: Tara Canning (Nutritional therapist and master chef) - Gluten & Dairy Free Baking demo at the Expo. Look forward to a master class on how to make her Paleo bread, Lemon Gluten Free Banana Cookies & Lemon & Blackberry Polenta Cake. 1.30pm: Lorraine Fitzmaurice (Co-owner of Blazing Salads and cookbook author) - Introducing Whole grains to the Family. Alternates to white rice, white pasta and potatoes, but with the benefit of nutrition, taste and flavour. Might be good for a variety in our dishes! 3pm: Eddie Eriksson (Chef with Cornucopia) - A Flexitarian Approach to Family Cooking. 4.30pm: Paul Kelly (Executive Pastry Chef with The Merrion Hotel) - Demonstration with PureBred Gluten Free Bakery’s newly launched 'Bake at Home' range of mixes. The Expert Zone is just that: an area with seminars from leading experts. Questions are allowed! 11.30am: DR. DILIS CLARE, G.P, leading authority on Herbal Medicine in Europe, a qualified GP and medical herbalist will host a seminar on Helpful Herbs for Allergies. 12.30pm: SELENE DALY, Dermatology Clinical Nurse Specialist, Sligo Regional Hospital will give a talk on Eczema – A Practical Management. 2.30pm: DR. JOE FITZGIBBON, Medical Doctor with clinics in both the Galway Clinic and the Hermitage Clinic, Dublin will give a talk on Allergy, Fatigue, and Nutrition titled Bad Reactions to Good Food. 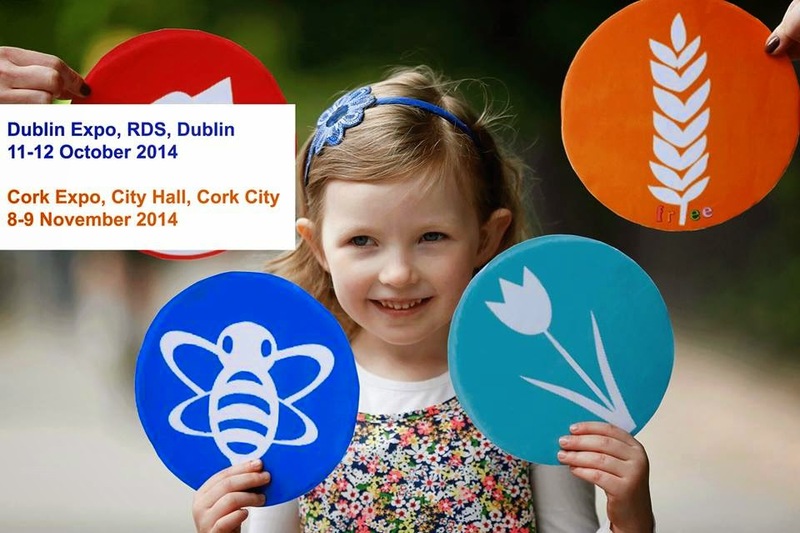 3.30pm: DR. MIRIAM DELANEY, as a parent-member of the Anaphylaxis Ireland, will give a parent’s first hand account of living with a child with severe allergies titled The Every Day Challenges for a Family Living with Anaphylaxis. 11.30am: PAUL KELLY, The Great Irish Bake Off Judge & Executive Chef of the Merrion Hotel and DAMIEN SHERIDAN, Co-Founder of The Gluten-Free Foodie, now part of PureBred Gluten Free will discuss Catering for Gluten Free: Overcoming Cross Contamination Issues. 12.30pm: RITA LYNCH, Chief Respiratory Scientist and Lab Manager will discuss The Role of Allergy in Respiratory Conditions such as Asthma and Allergic Rhinitis. 2.30pm: DR. EDEL KEAVENEY, Nutritionist & Coeliac will give a talk on Reading Food Labels - Nutrition & Allergen Information. 3.30pm: ANNA SONNENBERG, of the Gluten-Free Jet Set will share her insights into Around the World Gluten Free: Travel Healthy and Happy with Food Restrictions. 4.30pm: DR. RANBIR KAULSAY, Consultant Allergist will give a talk on Hayfever, Nose & Sinus Allergies. If you have any questions there are 1-2-1 Advice Clinics available where you can ask those questions you wouldn't dare in a crowd. They are private consultations, where else would you get that without seeing a consultant? There are bundles of experts going to be at the Expo, click here to see the list and here for a little ore about the Clinics. Book tickets on Ticketmaster for €10. Oh and children under 12 are free! We're heading along so find us on Facebook, Twitter, and Instagram while we're there! I was hesitant to get a medical alert because I would feel older than I am... In truth I feel younger now that I can be mobile and not worry about what could happen. This medical systems (http://www.freedommedicalalert.com/) are ready to respond to any emergency 24 hours a day – 365 days a year. Help at the push of a button! Want to see our haul from The Allergy Expo? ?